Charlie and the Chocolate Factory book and film bring back such wonderful childhood memories and I was SO excited to find an afternoon tea that has been inspired by it. 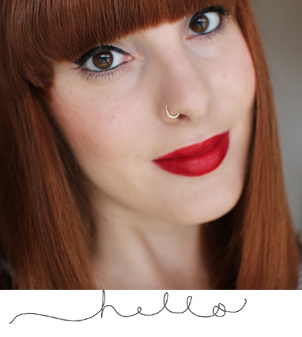 Before I dive straight into my review, Joe and I were celebrating eight years together – we have a tradition of indulging afternoon tea or going out for a nice meal in London. 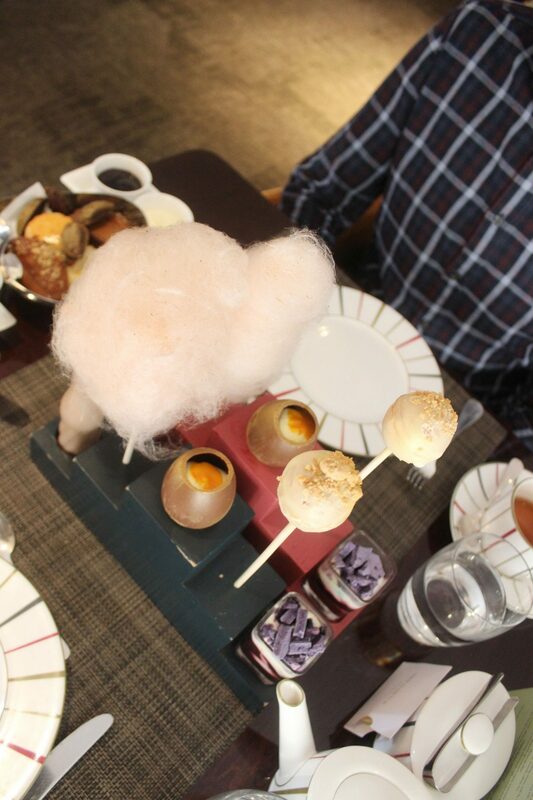 And this year, I chose Charlie and the Chocolate factory afternoon tea – which looked amazing in photographs online. So, where is this quirky afternoon tea may you ask? It’s at One Aldwych Hotel, close to Covent Garden and Temple stations. A stunning hotel where you can either have afternoon tea in the lobby or in the Indigo restaurant where you can watch the world go by while you stuff your faces with sweet goodies. On arrival, the staff were lovely and got us seated in the restaurant right away. We were actually half an hour early, but they were absolutely fine with it and lead us to our table. Baring in mind we went on a Monday at 2:30pm which wasn’t too busy, but I can imagine the weekends being pretty busy. Soon after we selected our tea’s. Joe and I both went for the Moroccan Mint which was rather lovely. There are a few fruity flavours which compliment the afternoon tea really well; chocolate tea, mango noir, rose garden and organic berry and hibiscus. You also have the option to order a glass of champers or a cocktail for a little bit more cash! Then came an array of sandwiches, cheese scone with bacon jam and quiche. Mine and Joe’s favourites were the salmon with lemon mayonnaise on poppy seeded bread as well as the coronation chicken! Both flavours were absolutely delicious. The other savoury options were egg mayonnaise and watercress on a brioche bun and caramelised onion, sage and chestnut quiche. 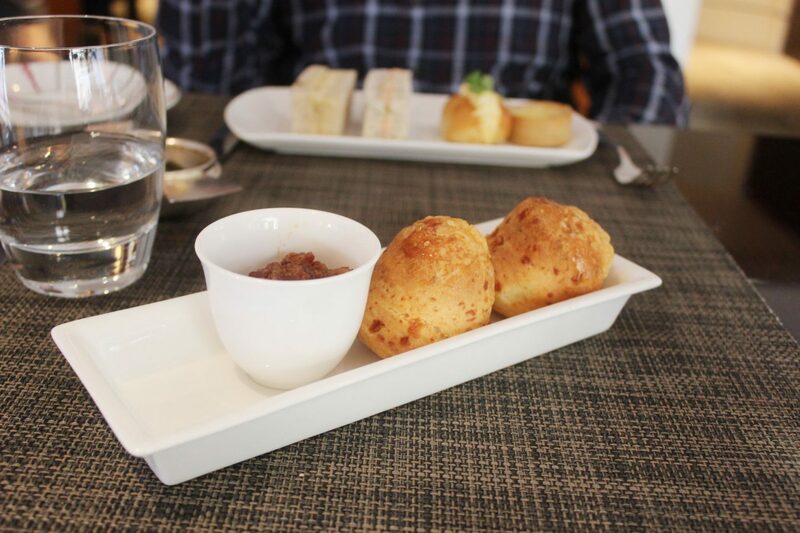 The cheese scone and bacon jelly was also incredible! The waitress asked if we wanted more, so of course we said yes to the coronation chicken and salmon ones – winner winner chicken dinner! After a short while, we were offered some more tea. This time I went with the rose garden and Joe went for the chocolate tea. I wasn’t really a fan of my second choice and neither was Joe. Then, out came a beautiful display of sweet treats! Consisting of scones with clotted cream and jam, banana bread with walnuts, chocolate caramel milkshake, candy floss, golden chocolate egg filled with cheesecake and mango, toffee apple cake pop and blueberry eton mess. 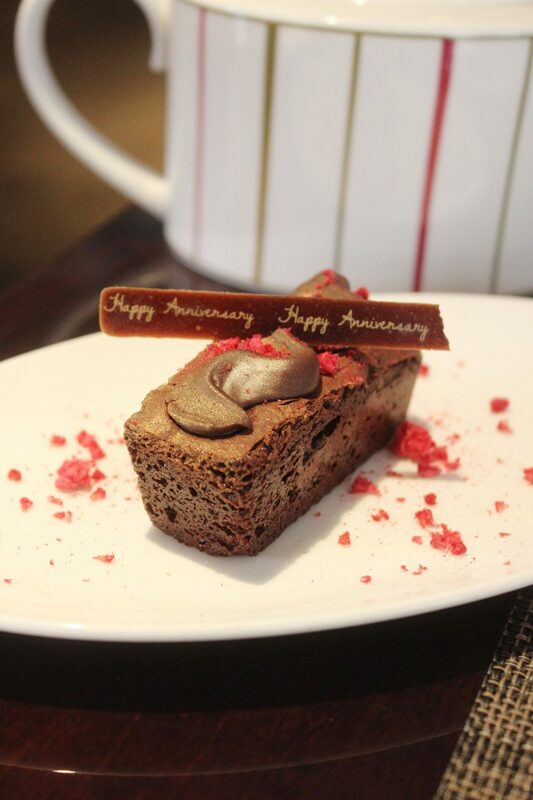 They also brought out an extra little chocolate cake which had ‘happy anniversary’ on – how sweet! The scones, banana bread and toffee apple cake pop’s were mine and Joe’s faves! I wasn’t so keen on the blueberry eton mess and golden chocolate egg. The milkshake and candyfloss were nice but couldn’t drink/eat all of it! Afterwards, we were dying of a sugar coma… and couldn’t move from our seats for about half an hour. Overall, we really enjoyed the experience, loved the theme and the food! The service was great too! Though, I would say I actually preferred the savoury options more so than the sweet which is rather unlike me. For me, they were a tad too sweet. 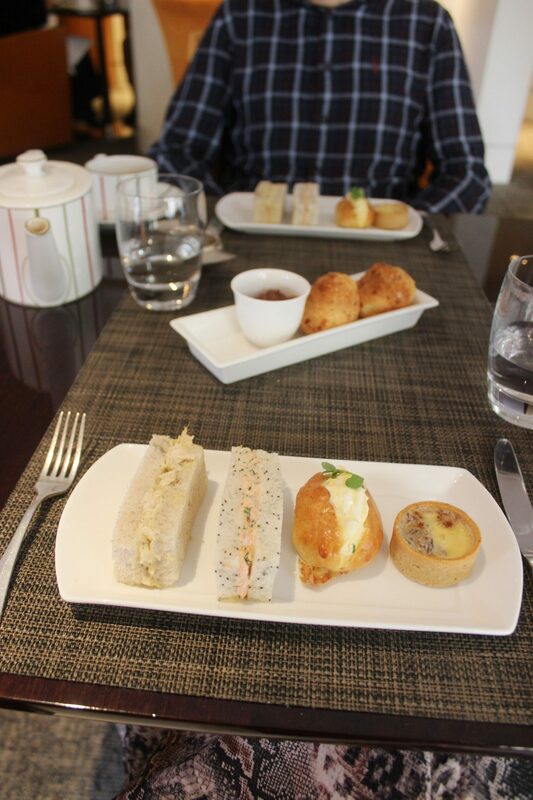 And, for someone who has experienced a lot of afternoon tea’s, I’d still rate sketch and The Rosewood’s Art afternoon tea as my absolute favourites. Have you tried the Charlie and Chocolate afternoon tea? what are your thoughts? If you’re interested in going to One Aldwych Hotel’s traditional afternoon tea, it starts at £45, or £56-59 with a glass of champers or cocktail. For more information, click here. Previous Post I’ve Been In A Relationship Since I Was 16: How Has It Shaped Me? This looks like the most incredible afternoon tea! These sweet treats are everything! Happy Anniversary! 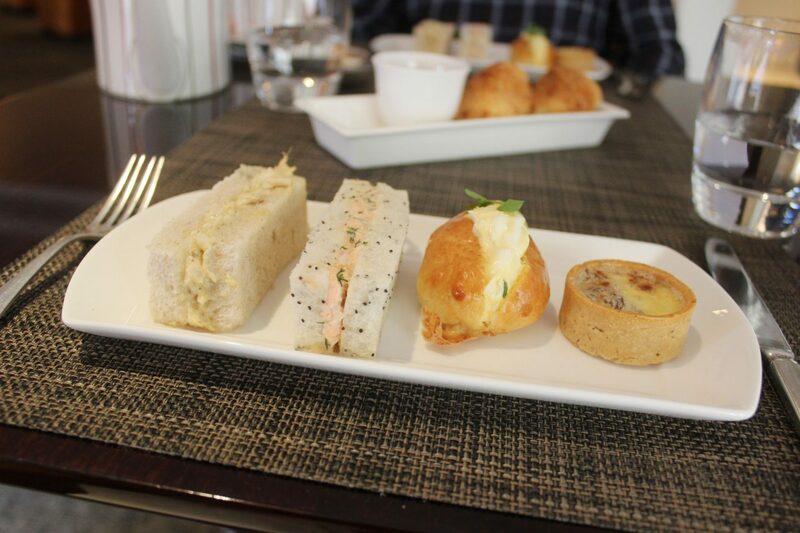 I love a good afternoon tea and this one looks so good. 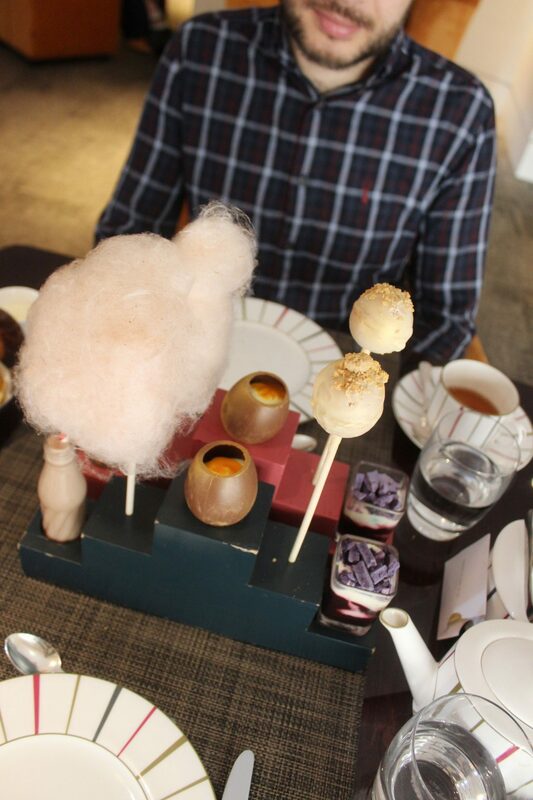 the cotton candy is perfect.